Dr. Jodi Cooley opened Creekside Chiropractic Center in 2008 with the philosophy of patient-centered care in an inviting atmosphere. She has been practicing chiropractic in Gahanna since 1995. Dr. Cooley enjoys helping patients achieve optimal health with a combination of chiropractic care, teaching patients how to manage their condition and coaching to promote healthy living. 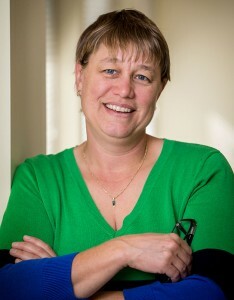 She does like the challenge of helping patients with complex health issues. She specializes in manual manipulation of the spine and extremities and is advance proficiency rated for Activator Methods Technique, a gentle mechanical form of chiropractic adjustments. Dr. Cooley grew up in Northern Michigan. She has earned degrees from Michigan State University, Ohio State University and National College of Chiropractic (National University of Health Sciences). Chiropractic was a natural fit for her interest in anatomy, physiology and fitness. She is a life-long student of health and enjoys learning about current health and fitness trends and applying these to her practice. In her spare time, Dr. Cooley enjoys spending time with her family, spending time at Indian Lake and participating in golf and tennis leagues. Dr. Michael Fisher believes being a chiropractor is an amazing privilege and treating families is a responsibility not to be taken lightly. From helping infants with colic, the expectant mother who wants an easier birth experience, or the dad with chronic migraines, he enjoys serving the Gahanna community with his chiropractic care. He grew up in Barnsville, Ohio. He received regular chiropractic care from a very young age, and his mother recalls that he started talking about becoming a chiropractor even then. In his family, going to the chiropractor was as commonplace as going to the dentist!! After high school he attended Ohio Valley University in West Virginia on a baseball scholarship, and then went on to earn his Doctor of Chiropractic degree in 2007 from Logan College of Chiropractic in St. Louis. He has post-graduate training in pre-natal (Webster) care, pediatrics and activator adjusting techniques. He uses Active Release Technique (a muscle and soft tissue technique), Kinesiology Taping and Pierce Adjusting Technique in his daily practice. 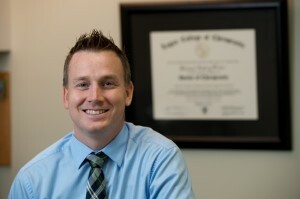 Dr. Fisher believes he can be an integral part of your family’s total health care team. His experience in athletics, education, and professional practice helps him to craft treatment plans to achieve optimal health and function, and to improve the quality of life for his patients. He lives in Gahanna with his amazing wife Whitney, son, Cole and daughter, Caroline. In addition to practicing chiropractic, he is a certified baseball umpire, enjoys exercising, spending as much time with his wife and kids as possible, and of course, OSU football! Dr. Fisher and I strive to provide you and your family the most comprehensive chiropractic and rehabilitative care for optimal musculoskeletal health. Treatment plans are crafted with your unique health care needs in mind.